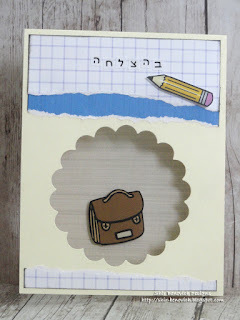 Today's post at Practical Scrappers is about back to school cards & layouts. I created this simple window card with my collection: School Is Cool. Tearing the small papers ,and inking the edges... 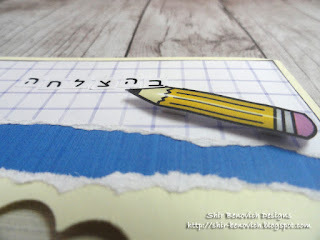 Adding greeting with small letters... 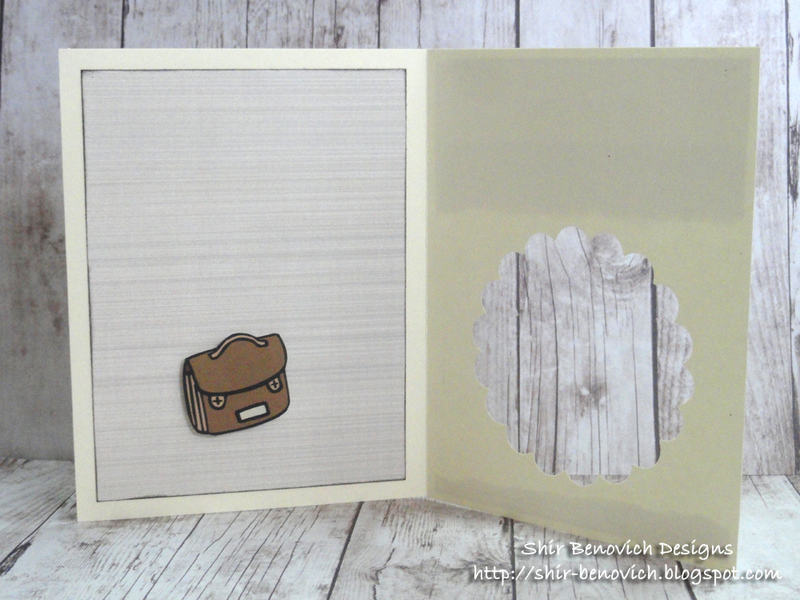 Adding small embellishments from the kit cover - the bag is on the inner paper. Mor saw this card and says: I know who can get this card! I am! I'm going to first grade!